Mr Andrey Filatov, founder of Art Russe is funding the creation of a tapestry to be woven from a watercolour painting by His Royal Highness, The Prince Charles, Duke of Rothesay. 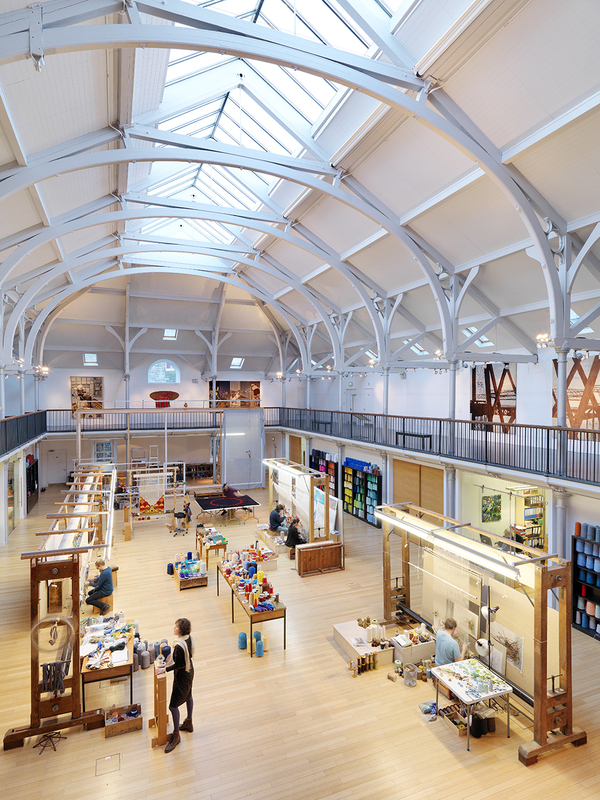 The tapestry will be woven in Edinburgh at Dovecot Studios and will be a collaboration between Dovecot’s Apprentice Weaver Ben Hymers, and Master Weaver and Studio Manager Naomi Robertson, both of whom will weave on the tapestry together. This complex watercolour tapestry will mark the end of Ben Hymers’ Weaving Apprenticeship. It will begin in January 2017 and will take approximately 8 months to complete. The watercolour His Royal Highness has generously given permission to weave is entitled Abandoned cottage on the Isle of Stroma, Caithness 2003. His Royal Highness Duke of Rothesay visited Dovecot Studios on Monday 21 July 2014. HRH Prince Charles was greeted at Dovecot by Alastair Salvesen, CBE (Chairman and Trustee, The Dovecot Foundation), Elizabeth Salvesen (Director and Trustee, The Dovecot Foundation) and David Weir (Director, Dovecot Studios). He was escorted to the Weaving Floor, where he met with the weaving team and viewed the Large Tree Group tapestry created at Dovecot in collaboration with artist Victoria Crowe. The tapestry was woven by Master Weavers Naomi Robertson and David Cochrane and was on tour in Australia, before returning, via London and Inverness, to its final home in the National Museums of Scotland. This touring exhibition titled Fleece to Fibre was first shown in 2012 to mark Dovecot’s centenary celebrations.